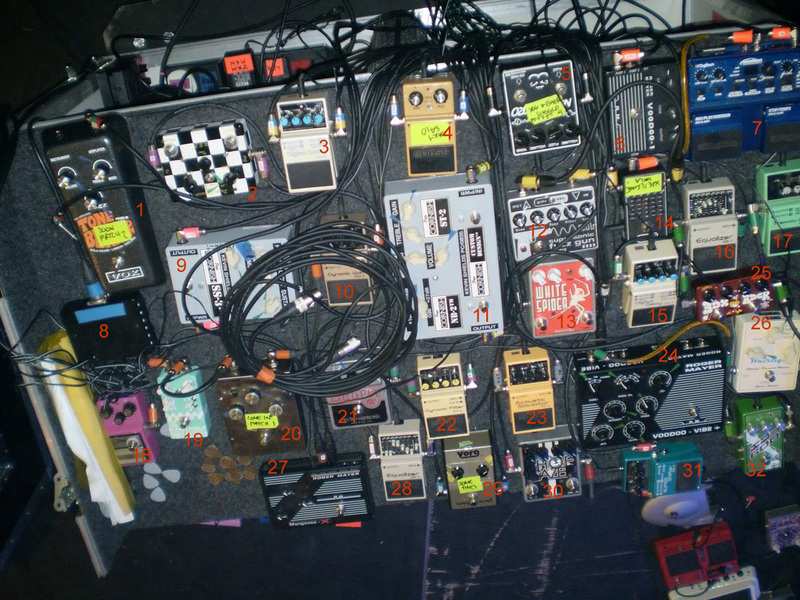 In a [Effects Bay article](http://www.effectsbay.com/2011/08/kevin-shields-my-bloody-valentine-pedal-boards/), A shot of Kevin Shield's life rig, shows a Boss FT-2 Dynamic Filter Auto Wah Pedal in use. "The third pedal in the chain is the Dynamic Auto Wah. I have it set as an envelope filter. It's kind of like the 70s synth bass effect (see P Funk.) I rarely use this one, but it's fun so I had to have it : ) I use it on the bass solo in "Black Blade" and I occasionally use it on my bass solo during Godzilla." In [this article from BOSS Users Group magazine](http://www.lynchnet.com/articles/bug.html) (Vol. 5, No. 1 Summer 2001), David details his guitar rig at the time, which included an FT-2. No reviews or videos yet for Boss FT-2 Dynamic Filter Auto Wah Pedal. With an Equipboard account you can rate this item, add it to your collection, submit a review to discuss what you like and dislike about it, and associate Boss FT-2 Dynamic Filter Auto Wah Pedal to artists that use it. Create an account!